Three movement using a standard two movement combined with their single movement design (2+1), c. 1904. 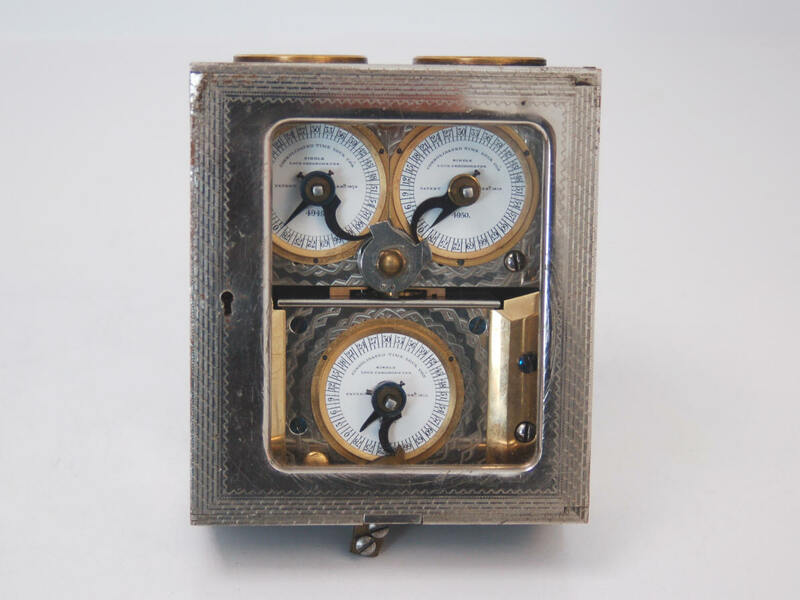 Consolidated was a late entrant into the market for three movement time locks. Yale introduced the first three movement and somewhat modular time lock, the Type B in 1887, followed closely by S&G's Triple A in 1888. This example is a rare triple movement lock made up of a composite of movements found in the company's standard dual and single movement models. Unlike other models that Consolidated made, this case has no patent dates and these movements are 80 hours in duration as opposed to the company's' standard 48 hour movements. 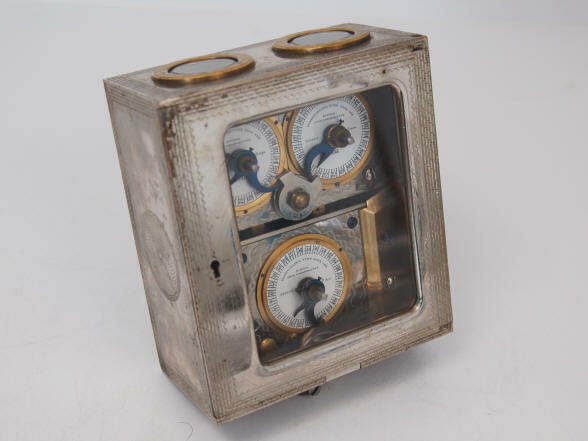 Consolidated did begin making their dual movement pairs in 80 hour duration around this time, but there are no 80 hour single movement time locks known with the exception of an alarm timer by Banker's Electric Protective Company . 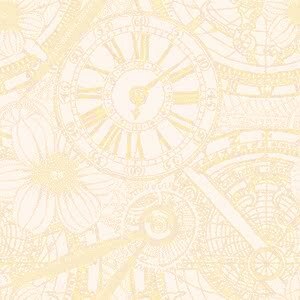 By this time longer duration time locks were becoming standard and Consolidated had to catch up and this duration presaged their modular time locks introduced in 1905. Note the difference in the lever and dial pointer in the lower movement. The bolt release arm was altered to work in the new configuration. 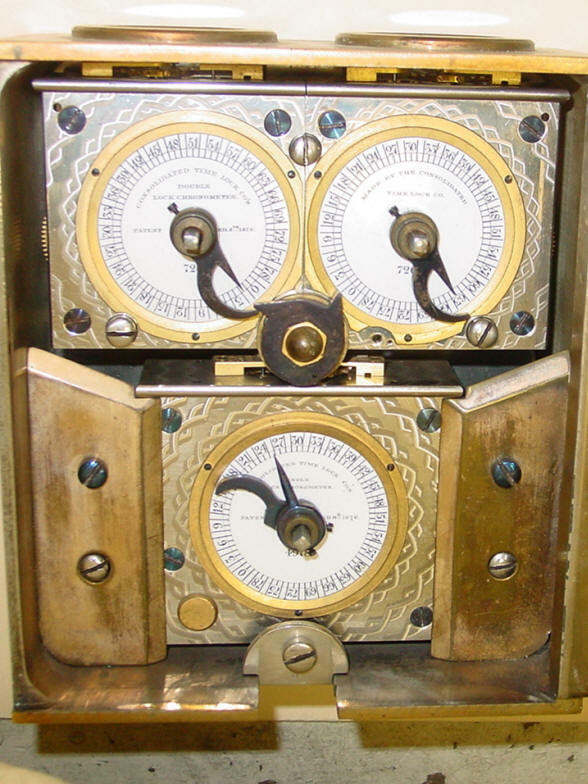 As a result, the original dial pointer was cut off and replaced with a separate one attached to the arbor positioned so as to indicate the correct time. 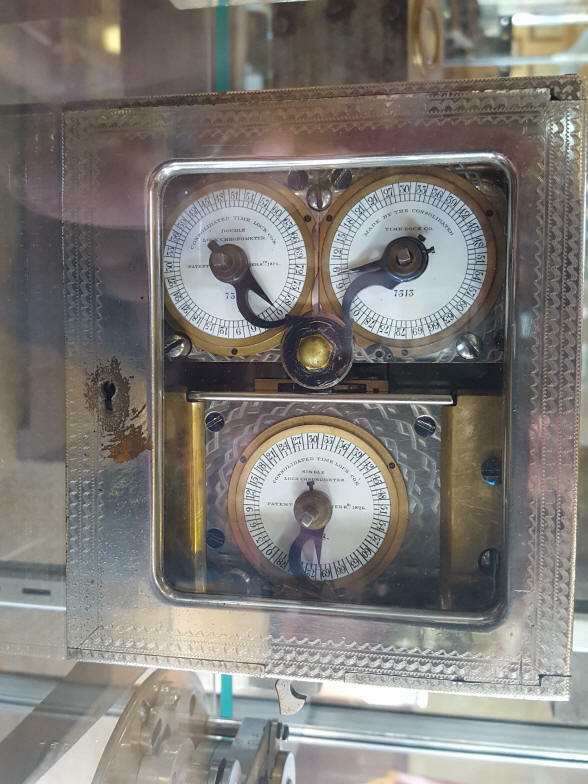 A real issue with this design is the fact that there are two separate linkages from the upper timer pair as well as the lower single movement. These look to be prone to jamming with each other. The overall design has a clumsy, cobbled together look. Note the button blank in the lower left-hand corner of the single movement. This covers where a hole was to accommodate the fence lock/ release system present in all production run single movement locks. There are three other known examples. 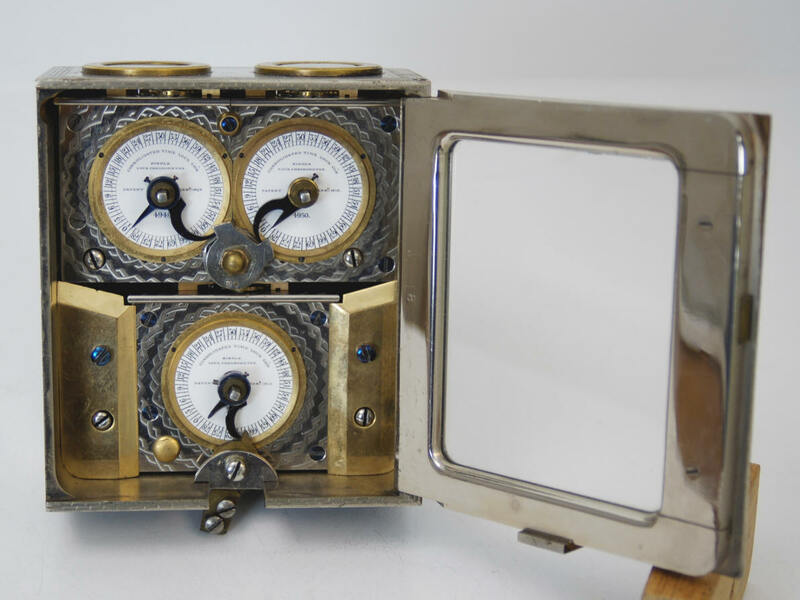 However those other examples have all had the upper movement pair replaced at a later time with a regular twin Consolidated style time lock movement. Evidence of this change can be seen in the examples below from the Harry C. Miller and a private collection. 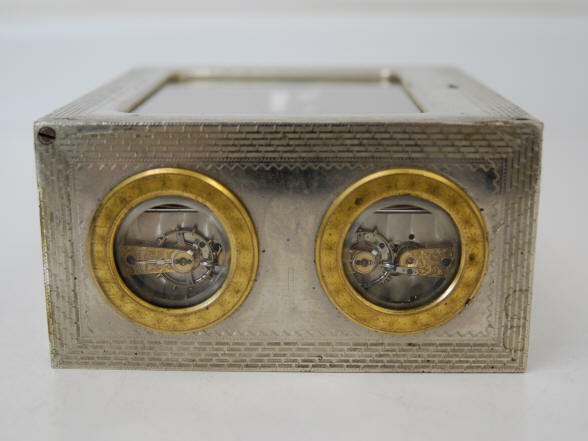 In both examples the serial numbers of the upper dial pairs are identical as they always are in the dual Consolidated time locks and they are not sequential with the lower dial number. In the Miller example the upper pair are s/n 7313 and although the lower movement number is largely obscured the fourth digit is clearly an 8 and the second digit looks to be a 5. In the second example the upper numbers are #7206 and the lower is #4978, indicating a later replacement, case #19. The other telltale is the open hole at the seven o'clock position of the right hand movement in both examples. This would have had the release lever attached in the standard two movement design and the dial bezel is scalloped to accommodate this. That lever is removed since it serves no purpose in this model. 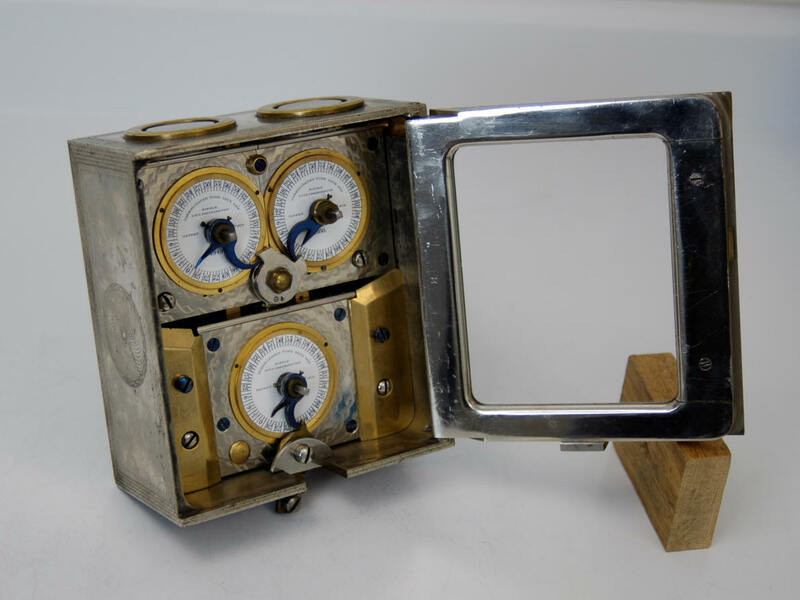 There is no scallop in the bezel in this example but the hole still exists just below indicating that Consolidated was using off the shelf movements for this design. But the main evidence for this example being original is the sequential dial numbering for the three movements and the non-scalloped bezel for the right hand movement pair. The highest case numbering for the known examples do not exceed 19 so it is safe to say that not many more of this model were produced. 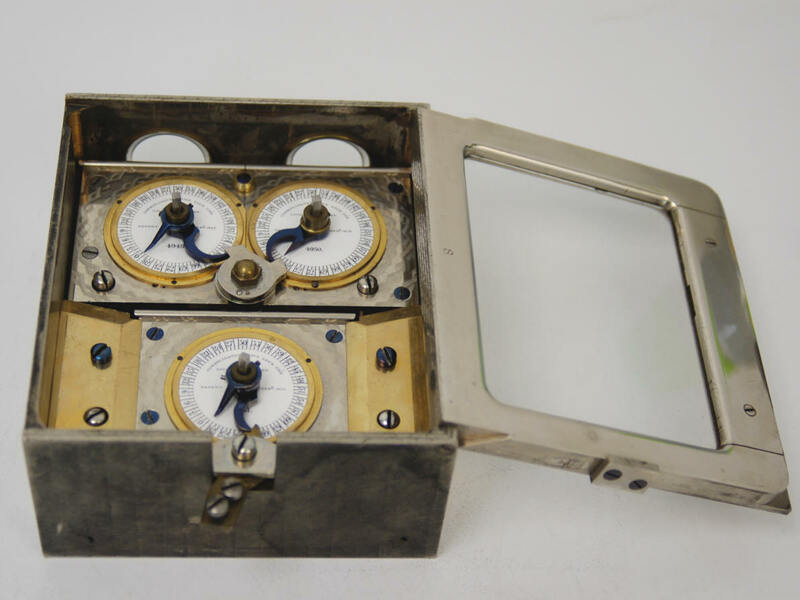 (1) American Genius Nineteenth Century Bank Locks and Time Locks, David Erroll & John Erroll, pp 306-307.